Christopher Walken is a biggest star here. He acts a dude who is well familiar with life, who produces the young talents. The latter are The Four Seasons band, unknown at that time. A band, whose main feature was extremely high voice of soloist. They performed in such genres as pop, Boogie Woogie and rock'n'roll. Most of the songs in the collection are of the first genre. The best-known works are Walk Like A Man and Sherry. The vast majority of melodies sang here by John Lloyd Young, who portrayed in the film the singer of a band. Clint Eastwood has produced and directed the film. The latter has better succeed in life in the role of producer and director than as an actor. The film has collected not very modest, but not an awesome cash box – USD 67 million, against a budget of USD 40 M. at production & marketing. 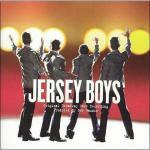 This band also was named in the reality as Jersey Boys, and was renamed for many times. During its existence (and the band still exists! ), 27 people participated in it (besides those 5 who are there at the present time). It has a rich history about which another film can be shot or a book written. More you may learn from Wiki. We just say that the film shows the period of the band’s popularity gaining, and the time they released several big hits. Now, a band lives with performances of hits of old days and ownership of rights to the songs. The film also does not show that a band changed its name 8 times in the period 1960 – 2015. Now a band has only one member from the original composition left – Frankie Valli. Beggin' by Madcon we like better. However, the original is not bad also.